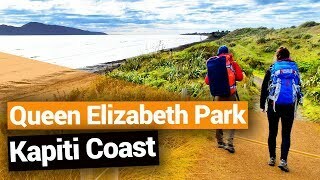 Where to camp for free on the Kapiti Coast? Finding legal freedom camping spots in New Zealand is never as straight-forward as you might think. However, there is one Wellington district that is a camper’s dream: the Kapiti Coast! On the west coast north of Wellington lies 40km of beautiful beaches and seaside settlements. What’s more, there are car parks, most of which in the waterfront, that allows certified self-contained vehicles to freedom camp on the Kapiti Coast. 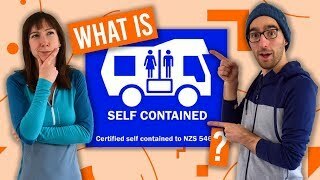 For more information on self-contained vehicles, see Self-Contained Campervans in New Zealand. Where you are legally allowed to freedom camp in Kapiti is made obvious by signage. 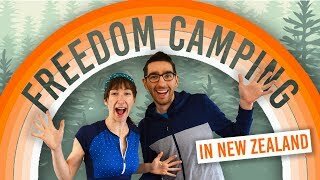 If there is no sign with freedom camping information, assume that you cannot freedom camp in that area. To make things easier, we have put together this list of the designated Kapiti Coast freedom camping areas, as well as the best camping spot for those of you camping in a non-self-contained vehicle or tent. Camp on the banks of the Otaki River at Otaki Beach. It’s a great freedom camping location in the north of the Kapiti Coast. Only six vehicles can camp in this location at one time. Be aware of the 48-hour time limit for each vehicle. Self-contained vehicles only! For things to do in the area, check out our 10 Must-Dos on the Kapiti Coast. Location: North Bank, Otaki River, Otaki Beach. This small freedom camping area in the Waikanae Beach area allows freedom camping for a maximum of two vehicles at one time. There is a 24-hour time limit for each vehicle. Self-contained vehicles only! Location: Field Way, Waikanae Beach. Freedom camping car park is found on the north side of the Waimeha Stream. Another Waikanae Beach freedom camping spot that allows a maximum of two vehicles at a time is located at the Waimea Road beach car park. There is a 24-hour time limit. Self-contained vehicles only! Location: Waimea Road beach car park, Waikanae Beach. For freedom camping inland, check out the Waikane Park free camping area. Again, it’s a small freedom camping area in Waikanae with a maximum of two vehicles per night. There is a 24-hour time limit for each vehicle. Self-contained vehicles only! Location: Park Avenue, Waikanae Park, Waikanae. For a slightly larger free camping spot in the Waikanae area, try the Waikanae River Mouth at the end of Tutere Street. There is a maximum of four vehicles that can camp at a time with a maximum of 24 hours parking. Self-contained vehicles only! Location: Waikanae River Mouth at the end of Tutere Street, Waikanae Beach. For freedom camping on the Kapiti Coast’s largest settlement, check out the camping spot at Marine Parade at Paraparaumu Beach. However, there is one space for one camping vehicle with a time limit of 24 hours. Self-contained vehicles only! For things to do in Paraparaumu, check out Kapiti Coast – Guide for Backpackers. Location: Car park opposite 54 Marine Parade, Marine Parade, Paraparaumu Beach. Not too far from 54 Marine Parade is another freedom camping car park opposite 62 Marine Parade at Paraparaumu Beach. A maximum of two vehicles can park here for a maximum of 24 hours. Self-contained vehicles only! Location: Car park opposite 62 Marine Parade, Marine Parade, Paraparaumu Beach. If the other Marine Parade freedom camping car parks are full, head to the car parks opposite 69 Marine Parade at Paraparaumu Beach. A maximum of two vehicles can camp here for a maximum of 24 hours. Self-contained vehicles only! Location: Car park opposite 69 Marine Parade, Marine Parade, Paraparaumu Beach. Our final freedom camping location suggestion is at the Garden Road/Matatua Road car park at Raumati Beach, close to Paraparaumu. This freedom camping spot has a limit of three camping vehicles at one time and a maximum of 24 hours. Location: Garden Road/Matatua Road car park, Raumati Beach. Although not a freedom camping spot, this is your cheapest camping option on the Kapiti Coast if your vehicle is not certified self-contained! This Department of Conservation campsite cost NZ$5 per person per night. There are two camping areas in the same area the School House Flat campsite with room for 150 vehicles/tents and the Black Gate campsite with space for 20. Location: 19km east of Otaki town. Follow the Otaki Gorge Road, a narrow gravel road with one ford crossing.